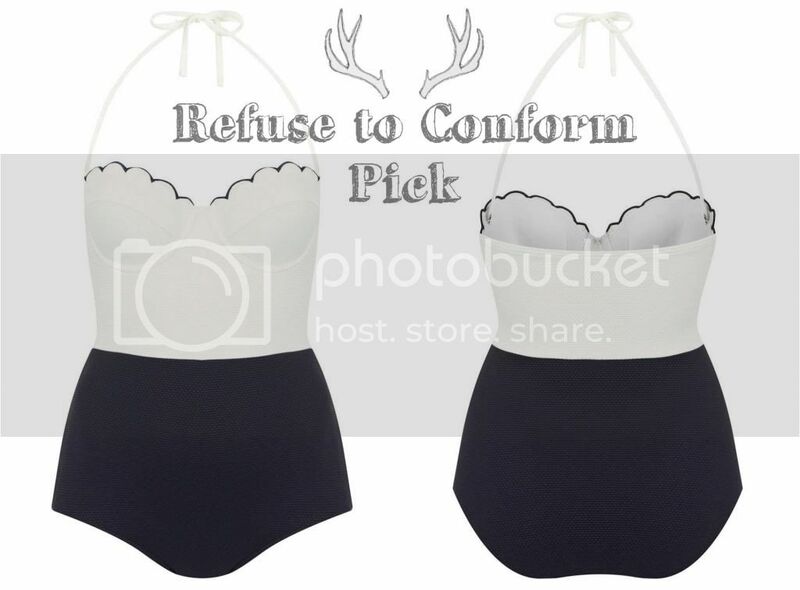 Do you have problems finding the perfect swimsuit to suit your body shape? Do you have no idea when your body shape is!? This I may be able to help you, I've found a few gorgeous swimsuits that will help you look your best this Summer, no matter your shape or size! If you have a slender body and lack of curves, then you're what we like to call an athletic body shape, this simply means your hips, waist and shoulders are all about the same size. 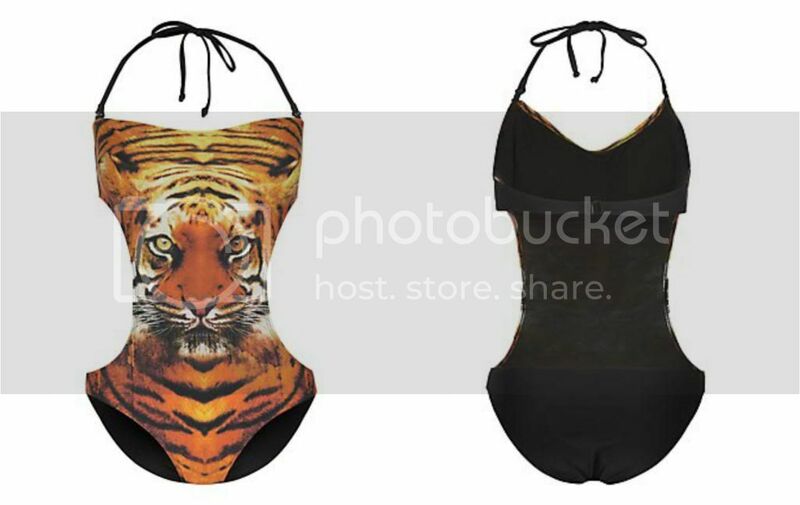 If you've ever felt self concious at the beach, surrounded by curvaceous women, then this swimsuit is definitely for you. The cut out sides follow the natural shape of a curvy waist, this makes us focus on that shape and gives you some quick and easy curves. The bold tiger print, right at the smallest point, also helps to keep our eye on the waist, meaning your chest and hips will automatically look bigger! If you are lacking in the *ahem* chest area, then the thought of putting on a tiny bikini could having you dreading the Summer, but fear not! This gorgeous bikini has a pleated panel across the top; This means that the fall of the fabric adds that much needed volume and shape that you want in that area. The beautiful crochet design will also help to take attention away from your small assets and the halter neck strap will help broaden your chest area all helping to create a beautiful womanly shape. I fall within this category of pear shaped, this means your bottom half, is larger than your top. So if you have that gorgeous JLo bum or Beyonce thighs, then this includes you! There is nothing wrong with having larger thighs, and getting them out, will actually look sexier than trying to hide them away. The black bottom of this swimsuit helps to slim down your bottom half, while the white top half helps to keep your attention up there, plus broaden the top half, to even you out. Mix with a halter neck to broaden your shoulders, and the line at the centre to focus your attention on the smallest part of your body, and you will definitely look fab this Summer! Now when Summer comes around, we all have have a big panic about the little extra weight we put on over the Winter months. So if you're carrying a little extra weight around the stomach area, then a swimsuit with a tummy control panel is a life saver. The extra mesh panel will help to flatten and smooth out your stomach, whilst the high back helps hide and lumps and bumps you may have there. The ruching detail looks lovely, but also helps aid the tummy control to cover up and hide that little bit of extra weight. So no matter the shape or size of your body, there is definitely the perfect swimsuit out there for all of you, and we can all look great this Summer! Let me know which body shape you are, and which is your favourite swimsuit from above!